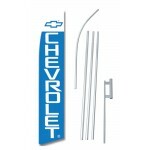 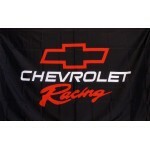 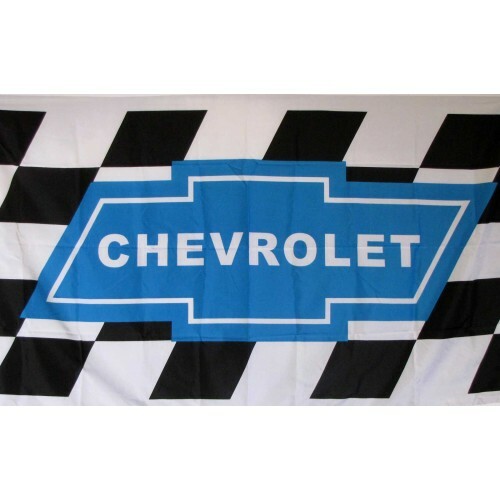 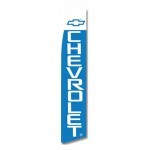 Show your love for the Chevrolet brand pride with this 3' x 5' Polyester Flag. 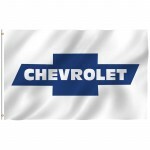 It is made from a light-weight but durable polyester with an open weave that reduces fabric stress and resists high winds. 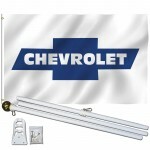 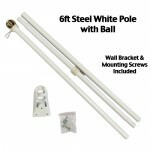 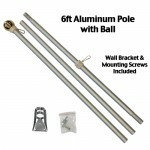 It is double-stitched all the way around and features brass grommets for hanging, attached to the flag with a reinforced header cloth for extra durability. 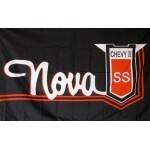 The polyester fabric looks like a coarse cotton, resists fraying and is designed for indoor or outdoor use. 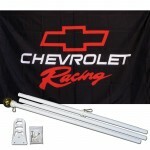 This features a single-sided print in bright, vivid colors. 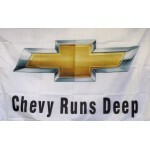 Single-sided prints are printed on one side with a bleed through of about 90% color intensity on the back side; which means the graphics can still be seen but will be reversed.